Carte de Visite of a distinguished man, sadly unidentified. The imprint M. F. King appears at bottom front edge. M. F. King operated a studio in Portland, Maine. 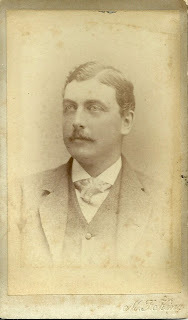 If you recognize this gentleman from your family albums or genealogical research, please pass on his identity.